A Flagship setting in popular Carolyn Heights and a private world away characterize this serene location, backing to Farmer's Ditch, seasonal stream/ with water rights. 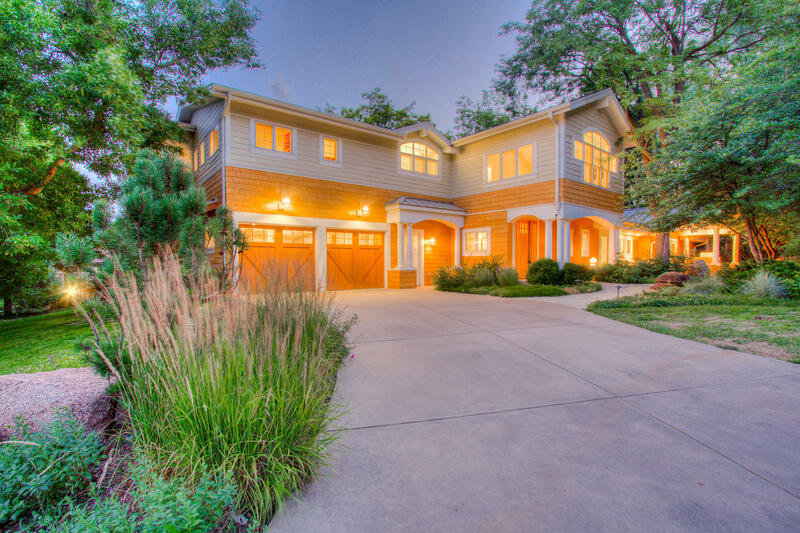 Truly a one of a kind setting – and deep within a secluded cul de sac! This beauty is about bringing the outdoors in, designed for natural light, easy open concept living inside and out! Nearly 1,400 square feet of balcony and patio space, unique architectural details, generously sized mudroom and laundry wing off the garage. Spacious convenient main floor bedroom suite and walk-in shower. 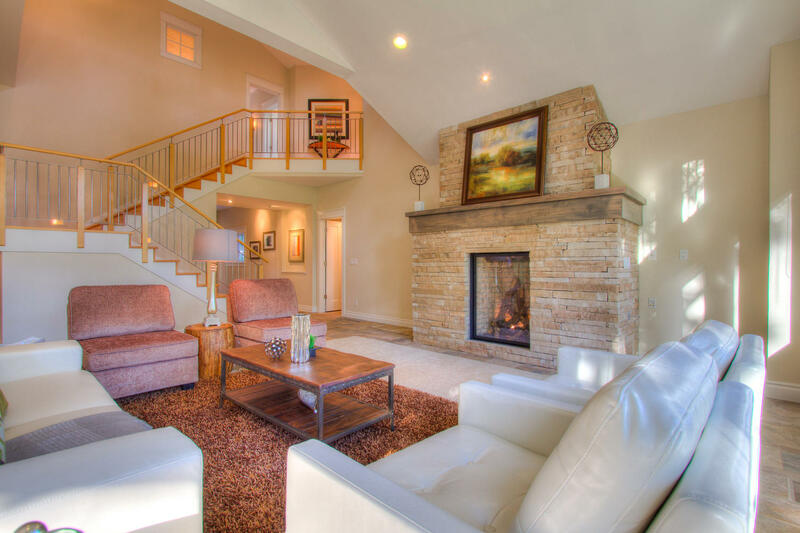 Pella glass atrium doors throughout, stone slate floors, 2 Gas Fireplaces, one in the Owner’s suite on the top floor and in the main living area. Soaring ceilings, solid natural maple hardwoods, cherry cabinetry in the master bathroom suite complete with a mammoth walk-in shower and free standing tub, and heated floors. The professional chef’s kitchen is dressed with all Viking appliances, hot water arm/pot filler, gorgeous custom cabinetry and tile work, built-in grill Viking outdoor kitchen off the front covered patio that is flanked to the north with the peaceful farmer’s ditch stream! Grab your tube on a lazy summer day. HVAC system: 2 furnaces, central air, 3 hot water heaters, expansion tank, also includes an active radon mitigation. Breathtaking Flatiron Views from evening deck off the Owner's Suite! 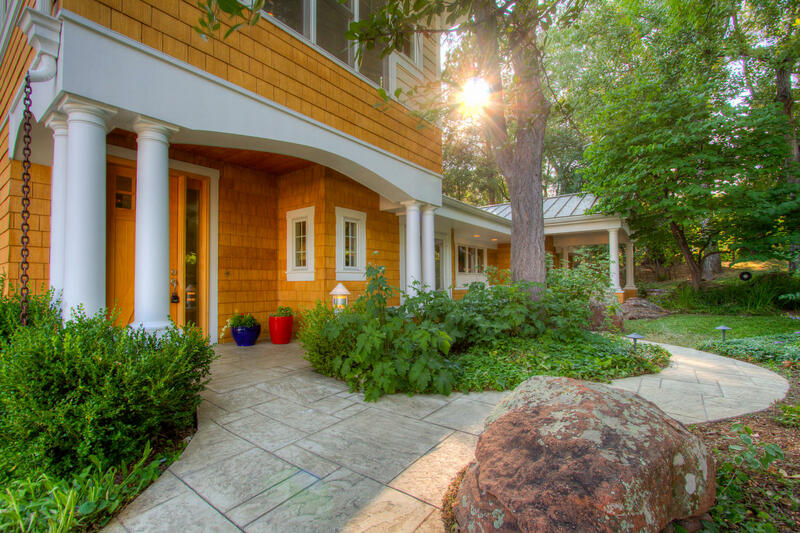 Near downtown Boulder only a quick 10 minute drive north and resting on over ¾ of an acre beautiful manicured, surrounded by wrought-iron fencing, Four spacious bedrooms, and Five bathrooms, see floor plan link for details.